Atlus has released a rather large player survey that asks a whole load of questions about its games. 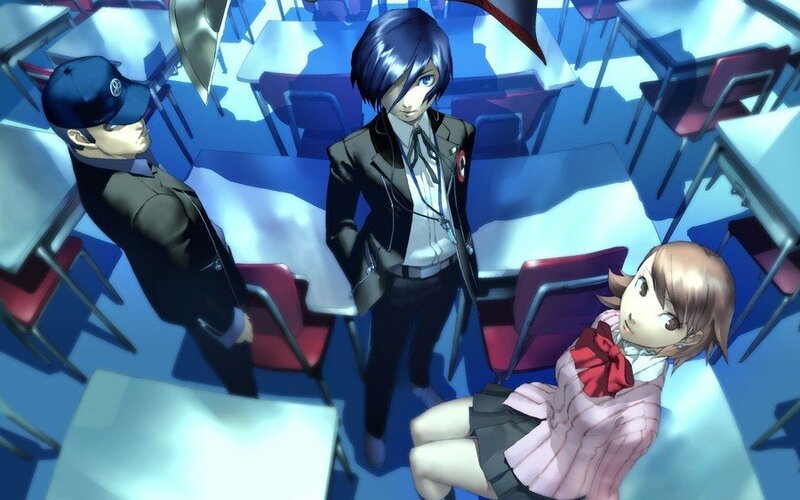 From Persona and Catherine to Dragon's Crown and Odin Sphere, the survey queries fans on things like potential sequels, remakes, remasters, ports, and just about everything else that you can think of. Of course, surveys like this aren't indicative of anything major, but it's clear that Atlus is trying to get an idea of what fans want from its properties in the future. To some extent, Atlus finds itself in between projects right now. Catherine: Full Body just launched in Japan, and 2017's Persona 5 was the publisher's most recent heavy hitter. We know the company has plans for more Persona 5 with Persona 5 R, but aside from that, it's difficult to guess at what Atlus has up its sleeve. While we're here, we're going to go ahead and say that we wouldn't mind sequels to both Dragon's Crown and Odin Sphere, and Atlus, please just give us PS4 remasters of Persona 3 and Persona 4. It can't be that hard, right? Oh, and a new Digital Devil Saga would be sweet, too. Remake of Persona 3 please. Persona 3 Remake! I would love that. I would love to have the benefits of Portable and FES on the PS2. I can’t go back and play on either, so a PS4 remake would be perfect. @Porco Baffles me why you're still hanging around this website — should start one yourself. @ShogunRok oh, why is that? you missed a very important point in your article. that is on you, not me. that isn't to say some of your other articles aren't well researched, but this one wasn't. Only played Person 5 and Odinsphere so far, so yes please! Dragon's Crown 2. Nuff' said. Muramasa Rebirth PS4 port please. I play it mainly on PSTV and it looks fine though nowhere near as pretty as on my OLED Vita. I'd love to see it get the Dragon's Crown treatment. Make it happen Atlus! It's a real pity the Vita never got a P3 remaster combining the content from both P3P and FES. Also, remake or remaster Digital Devil Saga 1 and 2. I thought vanillaware owns odin sphere, dragon’s crown and muramasa rebirth. Didn’t atlus just publish the games? I figured it was a wink, nearly a compliment. I for one, appreciate when comments bring useful information and don't take everything or supposed facts for granted. Yes please to anything Digital Devil Saga! Persona 4, Persona 4 Arena, and Persona 4 Arena Ultimax remakes NEEDS to happen. Remakes or ports of older Persona games please. I've only recently got into that series with Persona 5, which I've been loving so far. And take your time with Shin Megami Tensei 5 and make sure that's as great as possible. @Porco Nah listen, I came across a bit harsh — I do appreciate feedback, it's just that the tone of your comment didn't sit well with me. We've reported on re:Fantasy a number of times but I didn't think it was strictly relevant to the article given that it's all about existing IP rather than the new stuff. Hope that makes sense. I'd really love to see Atlus capitalize on Persona's growing fan base by introducing them to other games in the SMT universe via enhanced ports for PS4 and Switch. Digital Devil Saga, Devil Survivor, and SMT Nocturne are all really amazing games and a lot of Persona fans are missing out by having them stay on older systems. @hydroseptr same here. I'm playing P3FES on PS3 and will get the regular Persona 4 after because I'm not getting a VITA or PSTV for just one title (and I've looked at what else I'd get and didn't find anything other than PS1 games I've already beaten). Atlus is one of the reasons I'll never be with Sony or Nintendo exclusively. Like to see something done with the forgotten Persona's, and I'm feeling certain all will appear on Switch. Persona collection with Persona 1-3 in one box. Persona 3 remaster would be great. I played 4 Golden and thought it was excellent. Bought 5, but haven't had the time to start it. @Claude Same story here but I've only played 5. He has a dog to feed! @Porco You got a source on P-Studio changing their name to Studio Zero? I was under the impression both still existed but some of the head developers including P5's director were moving to work on Re-Fantasy, but P-Studio would still exist and be in charge of maintaining the Persona brand. Atlus' Wikipedia page says that they both exist as internal divisions as well. Muramasa 2 would be cool. Maybe some day. Don't care if it's PlayStation or Nintendo, just as long as it happens. btw, project re fantasy is apparently 50% complete. i would expect to see it released in 2020 if we are lucky.